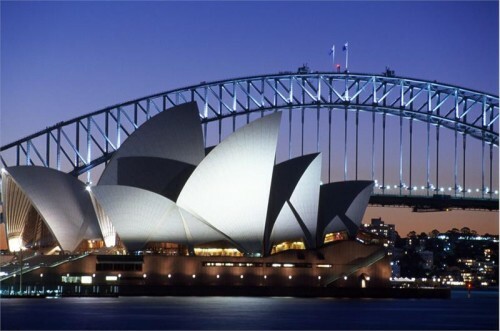 Super cheap flights to Australia: Sydney for only €633! Qantas now offers really cheap flights to Australia. 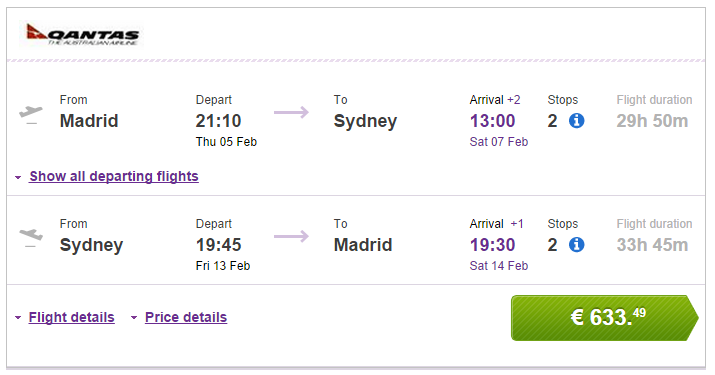 Return flights from Barcelona or Madrid to Sydney will cost you just €633! You can also combine the departure from one of the cities and return to the other. Travel dates are perfect from November to June 2015. 23 kg luggage is included, expect 2 stops in Dubai and Perth. « HIT! Cheap flights to Sri Lanka: Colombo for €328!